We are a quality centric company and thus, we follow strict quality standards throughout to offer quality products to the customers. We offer our customers the most common payment options including direct debit, prepaid cards, letter of credit, bank transfers, checks, money orders, cash payments, debit cards and more. 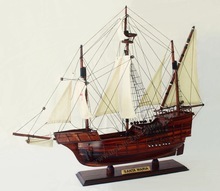 Each model is completely hand built to spec by skillful and creative master craftsmen If you would like model ship made in other sizes and colors, please contact us with your request.